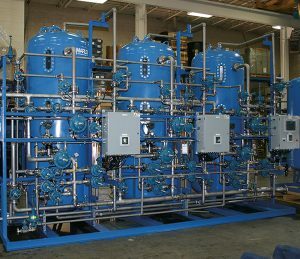 Our Ion Exchange Systems are used in all Industrial Water Treatment applications and Municipal Drinking Water Plants. We can customize a system to meet the needs of our customers’ specific treatment objective. Our customer base consists of power utility groups, petrochemical organizations, refineries, pulp and paper industry, municipal drinking water and waste water. Water supply is one of the most precious natural resources available and our Lamella Clarifier, Clarifier Rentals, RO services, Mobile Clarifiers as well as all of our products, provide solutions assist our customers in cleaning, protecting, recycling and reusing water.